​Phase 1 restoration efforts in the Wallsburg Watershed have not only led to a decrease in both phosphorous and E. coli, but now Main Creek supports its cold water fishery designated use due to lowered water temperature. Read the full account of before, during and after restoration in UTAH SUCCESS STORY: MAIN CREEK prepared by Sandy Wingert with the Utah Division of Water Quality. Main Creek was placed on the 2010 303(d) List for failing to protect its infrequent recreational and cold water fishery uses due to elevated levels of E. coli and water temperature. 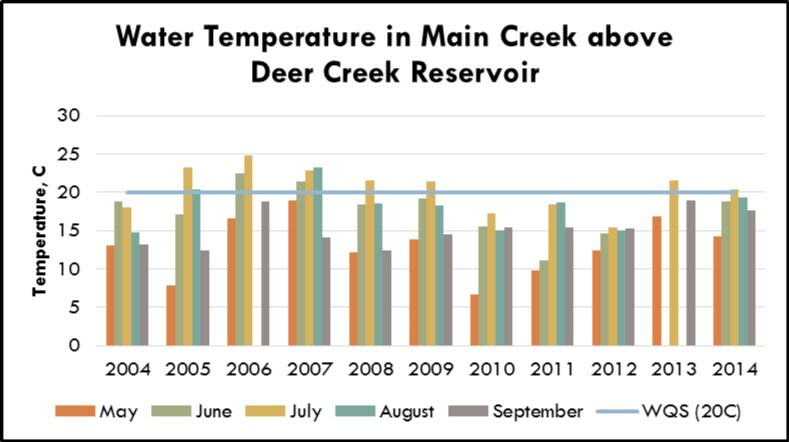 Temperature in Main Creek exceeded the 20º C water quality standard set to protect for cold water fisheries 18% of the time between 2004-2008. 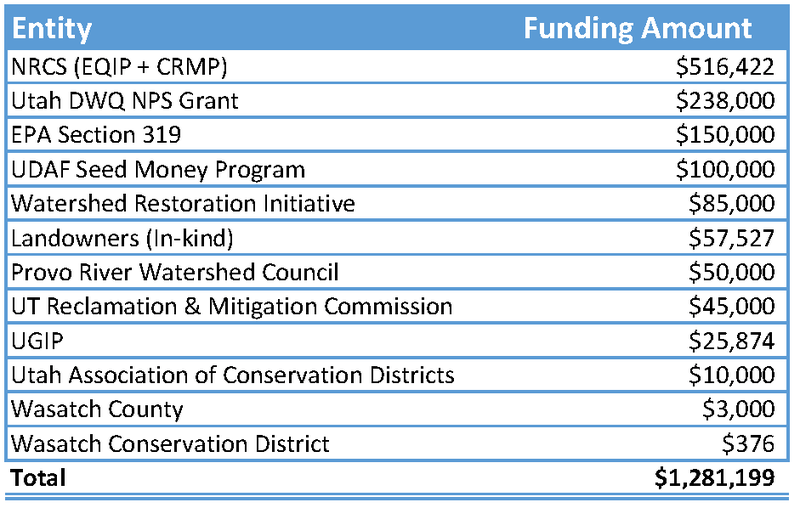 Following the Phase 1 work the stream now meets its cold water fishery designated use to due to lowered instream temperature and will be removed from Utah’s 303(d) in 2016. 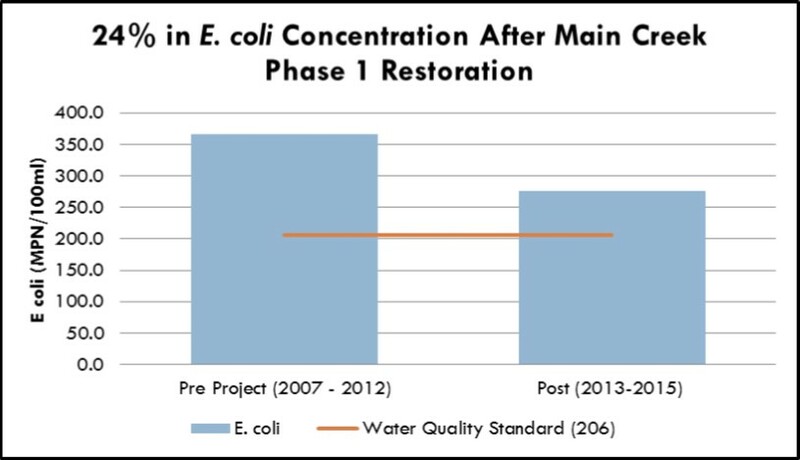 When comparing data before and after Phase 1 work, there is a 24% reduction in E. coli concentrations, though levels still exceed the WQS of 206 MPN/100ml for infrequent contact recreational use. 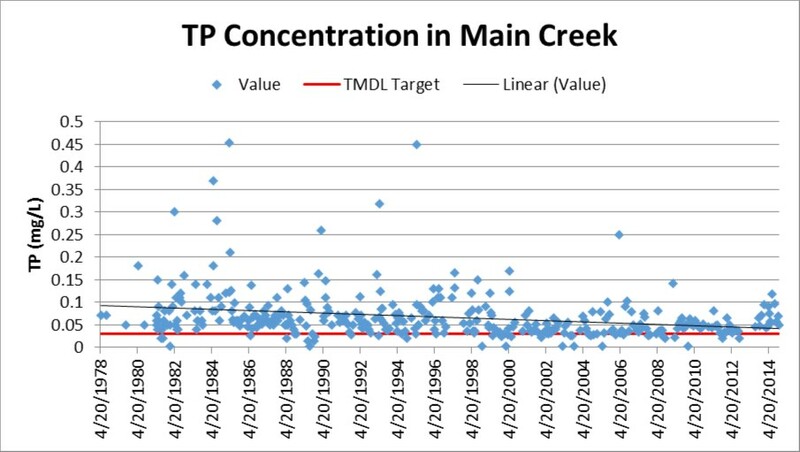 Though Main Creek comprises only 8% of the inflow into Deer Creek Reservoir, it contributes 17% of the Total Phosphorus (TP) load. 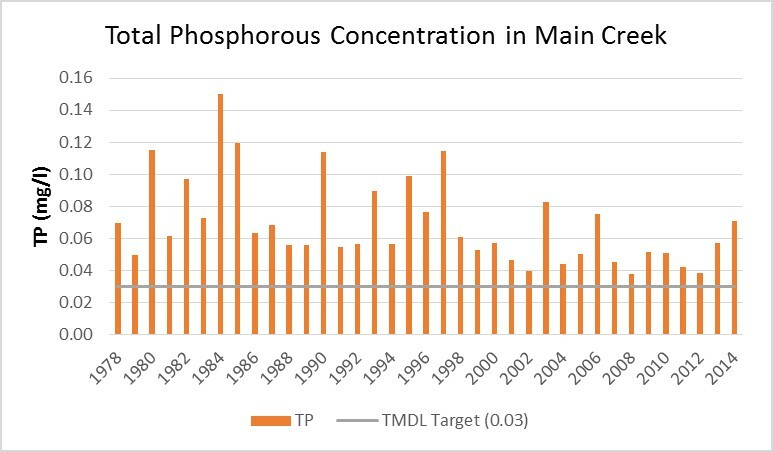 ​Trend analysis of TP concentration shows a general decrease over time however concentrations are still above the TMDL target of 0.03 mg/L. Stable concentrations point to natural sources of pollution. There is a positive correlation between flow and concentration indicating that erosion and transport of TP during high flows is a dominant process in the watershed. TP loading has decreased by 63% after Phase 1 restoration.